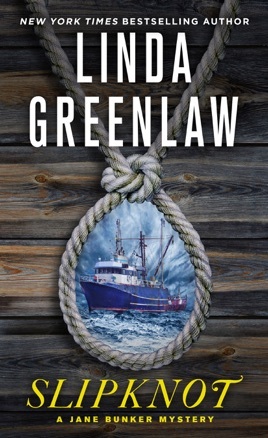 When Jane moves back to Green Haven, the sleepy Maine fishing community where she was born, it's to escape the seamy crime scenes and unsavory characters that crossed her path in Miami. Surely whatever crimes are committed in touristy, idyllic down-east Maine won’t involve anything as nasty as what she saw in Florida. It's a bit of a shock, then, when Nick Dow, the town drunk, turns up dead, and it's not the simple accident that everyone assumes it to be. The more Jane digs, the more confused she gets. Only two things are certain: Nothing is what it seems; and the whole town is in each other's business. 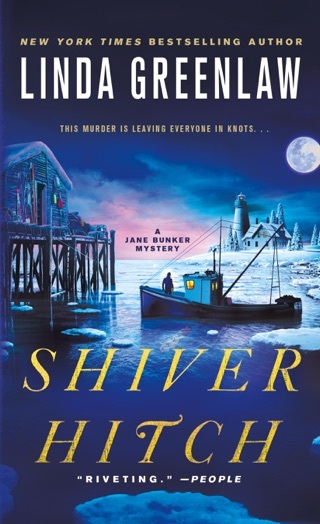 But it's not until Jane impulsively hops on a boat with the killer—a boat that suddenly heads out to sea—that things become downright dangerous. 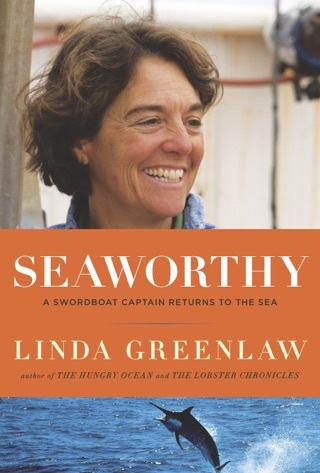 . .
As she proved in The Hungry Ocean, no one knows the sea like Linda Greenlaw. 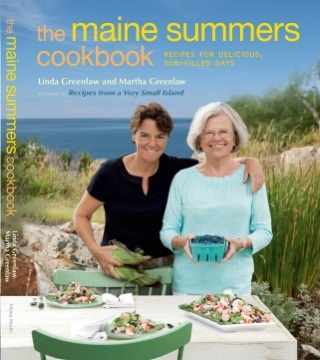 And as she proved in The Lobster Chronicles, no one spins better tales of Maine village life. Slipknot is the first installment in Greenlaw’s mystery series features everything readers want: a great setting, wonderful characters, an authentic and original detective—and a story that will keep them on the edge of their seats. 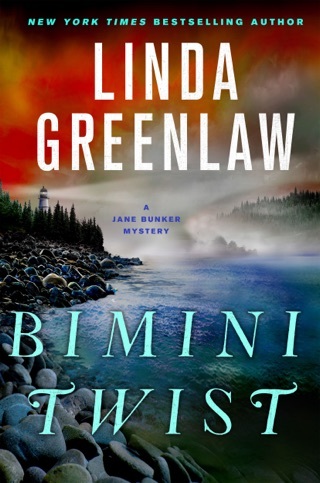 Bestseller Greenlaw introduces an indomitable heroine, Jane Bunker, in her strong mystery debut, which finds the former Dade County, Fla., chief detective seeking her roots and a slower pace of life in her coastal childhood hometown of Green Haven, Maine. 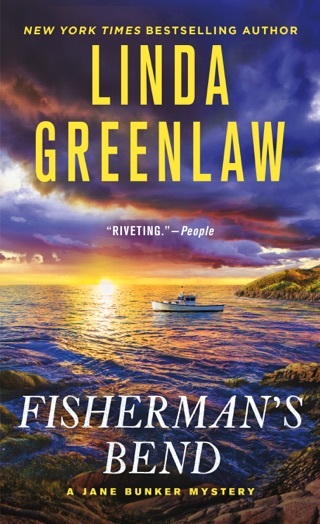 Starting over as a marine investigator for an insurance company, Jane happens upon the body of alcoholic cod fisherman Nick Dow, who washes ashore with a crushed skull beneath the docks of the fish plant Jane means to assess. The state police don't suspect foul play, but she does. 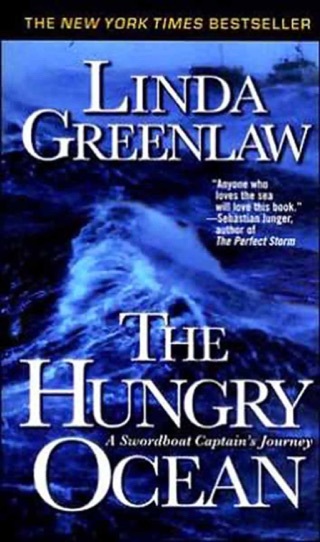 Chasing the murderer, Jane becomes an accidental stowaway aboard a boat that heads into a fierce storm at sea. 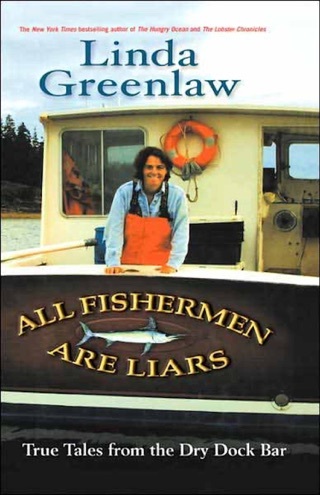 A cast of memorable New Englanders especially fish plant foreman Cal Dunham and Jane's kooky but caring landlords, Henry and Alice Vickerson enhance a fast-moving plot, while the nautical details will appeal to fans of Greenlaw's nonfiction books such as The Hungry Ocean and The Lobster Chronicles. Author tour.